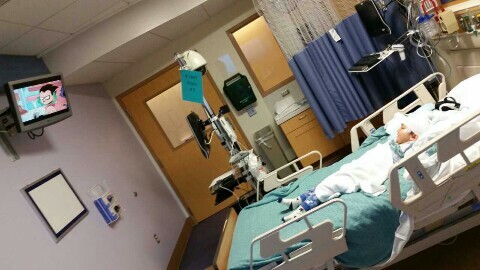 I am writing this blog post at the hospital room. We are staying 2 nights here. 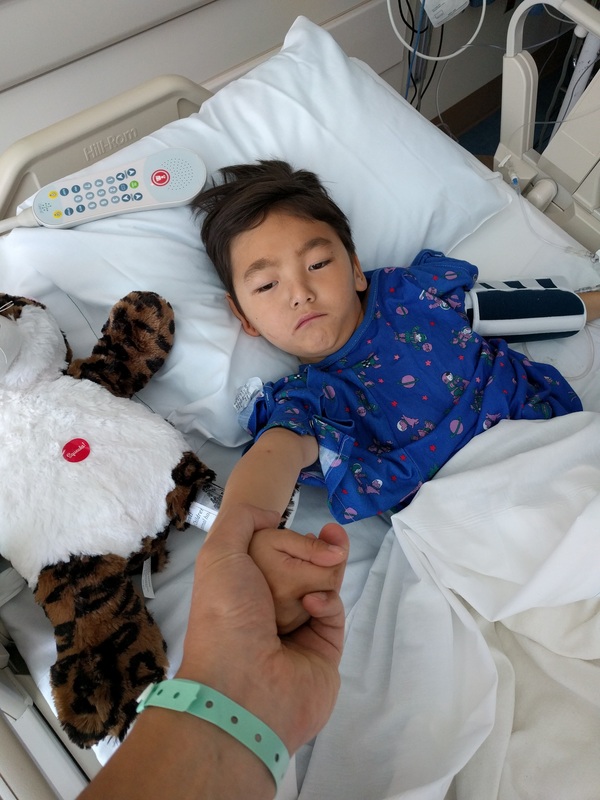 Leo had a gastrostomy tube surgery this morning on June 29, 2017. The surgery went well and he seems doing well so far. Now, it is around 11 pm and he finally fell asleep. Leo. I am so proud of you. It must have been a scary and long day. We know you did not want it even this morning. We didn't want it either, but we had to decide to do it. And you did well. Leo. It was 3 years ago when we found Leo had a high risk of aspiration due to his degenerative conditions. Gastrostomy surgery was strongly recommended back then, but we did not think he would need it. So we kept feeding him through his mouth in order to keep his ability to eat and use the muscles as much as possible. My wife have made a tremendous effort to cook special food for Leo to bite and swallow as safe as possible. The food has become soft cooked, then mashed, and finally pureed over the last 3 years. She brings him home from school to feed for lunch and take him back to school for the afternoon classes. Despite her dedicated effort, it has become harder and harder for Leo to bite and swallow well recently. Time for him to eat has taken longer and longer from 30 minutes to an hour or more per meal now. He loses weight significantly when he catches cold because he cannot swallow food well due to sore throat. As a result, his weight has not changed much since 3 years ago. We, as Japanese parents, think that food is the most important culture in Japan. So we kept feeding him healthy, nutritious food specially cooked for him because he loved eating so much. But now it is a huge struggle and stress for both Leo and my wife lately and they are sometimes in tears while eating. So it was about time for him to have the surgery. For good for both Leo and my wife. We still keep feeding him through his mouth, but we now have an alternative route to provide enough nutritions for him. The school nurse or aid can feed him through the tube at school, so he can rely more on people other than us. 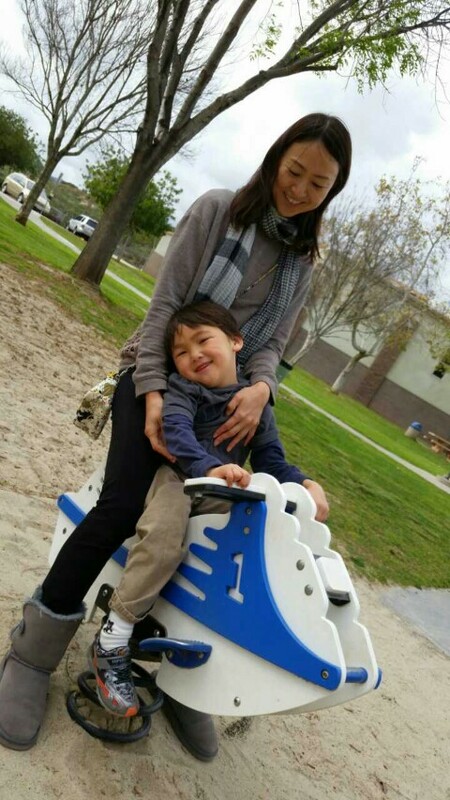 As he grow up, he needs to be more independent and rely on the welfare system in any country. Anyway, now it's done. We are hoping that there will be no reaction from the G-tube placement. We had a nice date this morning while Leo was going through the surgery. Thank you very much for being such a patient sister! Although it's been a while, let me summarize how Leo's symptons are and the test results. The muscle biopsy results reported, mild nemaline rods observed, and thus possible nemaline myopathy suspected..
We saw Dr. Susanne Go and started Amantadine early August. Since then he is taking 35mg twice a day (70 mg/day). In a few days, we immediately noticed that Leo's core got noticably stronger, better muscle tone overall, more alert, better swallowing, speaks well (makes noise), and significantly less spasticity in his legs, especially the left leg, which was twisted inward and tip-toed. It may have come from the combination of the increased dose of L-dopa + the receptor side increased by amantadine. In fact, Babinski reflex became normal (before abnormal as you know). It has been a while since we saw this much improvement last time. He stands more firmly (with our support of course) and good amount of weight is on both legs. Leo did have a side effect in the first few weeks. He was very emotionally unstable and easy to cry (we read the side effect before giving him amantadine, so it was in fact true). But it went away after a few weeks and got back to the regular Leo with a big smile. We saw Dr. Haas in mid August, 2 weeks after Leo started taking Amantadine. His note should be describing the improvements as well. Given the observed nemaline rods found in Janurary, we requested Balor College of Medicine to re-examine the results of whole exome sequencing results done several years ago, but no mutations or variants were found in the genes that cause nemalize myopathy. 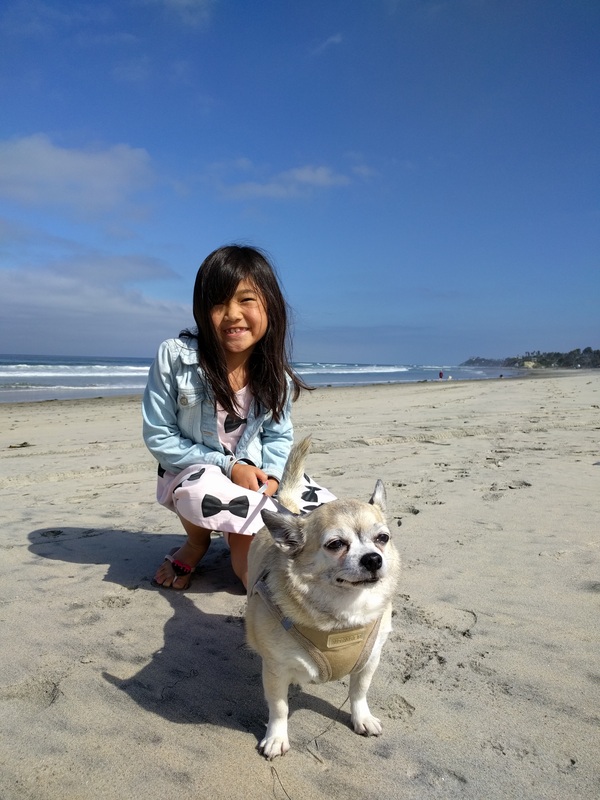 I participated in Rare Patient Advocacy Summit 2016 https://globalgenes.org/SUMMIT2016/ for 2 days and met many patients and their parents, doctors, researchers, NPO people, and learned a lot about the latest gene sequencing methods especially whole genome sequencing and the effort to collect more gene data to find the differences between rare disease patients and normal people. It was mind browing, but very useful since I found the research program called Undiagnosed Disease Network (UDN) by National Institute of Health (NIH) there. Leo's blood draw done for the second whole exome sequence by GenDx. We were told that the results available early next year. 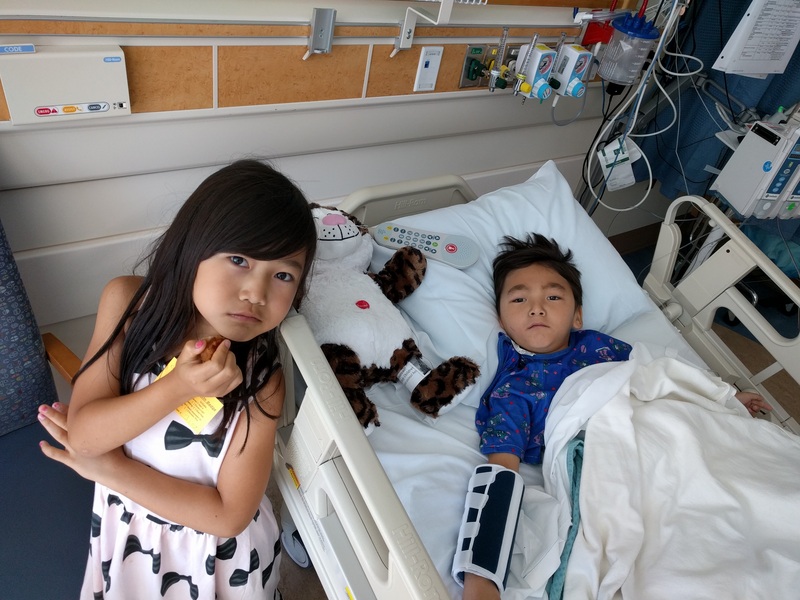 We went to UCLA to see Dr. Shieh, neuromuscular disease specialist. He saw Leo in the morning, reviewed all the medical records, and told us to stay in the afternoon to see Dr. Nelson, who is the director of Undiagnosed Disease Network program I got to know in September at Rare Patient Advocacy Summit 2016. He saw Leo and suggested us to start the application process for the program. We were so happy to see them at UCLA. We felt we might find something there. Waiting for Leo to wake up from anesthesia. 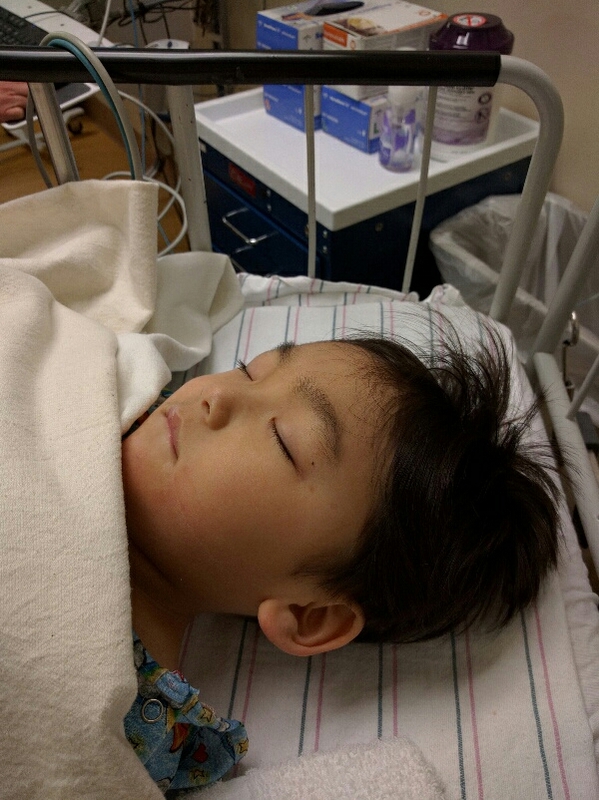 He had muscle biopsy for deep testing mitochondria, and also lumbar puncture to examine and compare cerebro-spinal fluid 3 years ago. He did well. Yes, he did well. Hope that today is the last surgery for diagnostic pur'ose. Leo is sleeping right now next to me. And I am writing this post from the hospital room. Yes. 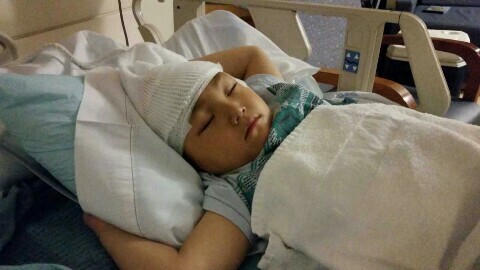 We are staying tonight for 24 hour EEG test. 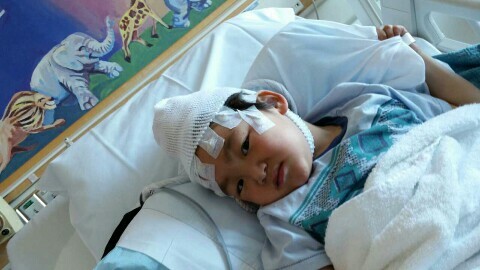 He has already done two regular EEG with 20-40 minutes. The results were all normal. But according to this article, those short EEG can capture only 37% of the first spike of epilepsy patients. 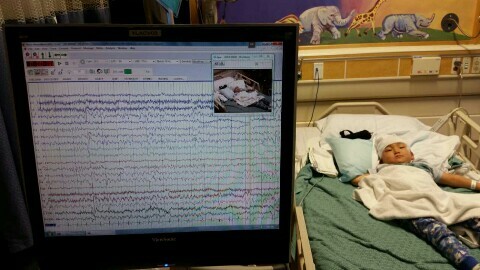 That percentage goes up to 89% with 24 hour EEG. Leo has never had a seizure, but we would like to see if something bad is happening or not in his brain activity. And of course, Leo did not like those electrodes put over his head. Well, who like them ? Video monitoring is being done at the same time to analyze particular physical activities and brain activity. Leo did not like it at first, but once the TV is on, he seemed very cozy and happy. So let us hope that we find something new there to explain his symptoms. just as a record. levodopa medication started yesterday. His body was a bit lower tone yesterday. Today the same. a bit lower tone. The hip joints felt a bit tighter too.